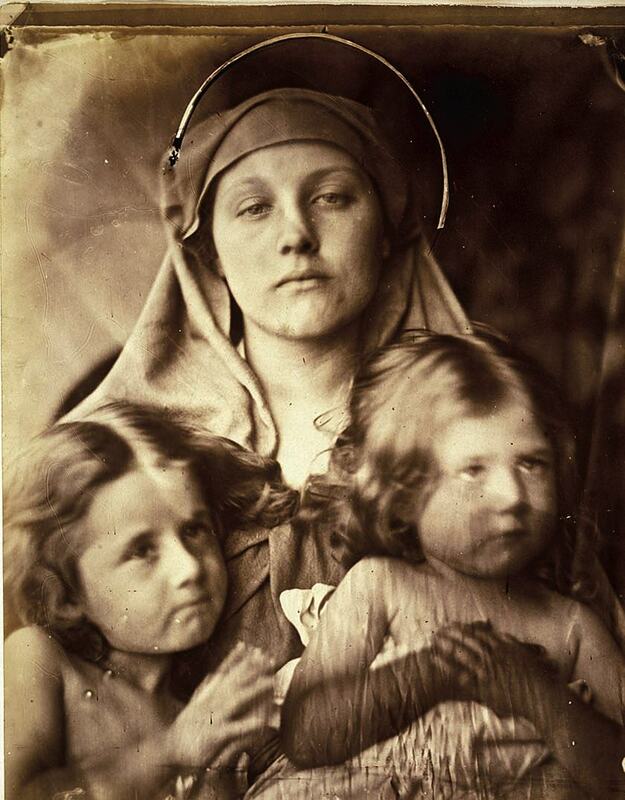 Julia Margaret Cameron, Madonna and Two Children, 1864, albumen print: artistically arranged—but could she control the expressions? The situation, however, is not as rosy and simple as all that. It’s not as though the art world assimilated photography solely on the basis of disinterested inquiry and careful argument. There were many incentives at work, including the lure of a profitable new market and the desire for more accessible museums.…Although some troubling aspects of these terms have received significant attention in recent years, one issue remains neglected: chance. Photography is prone to chance. Every taker of snapshots knows that. The first look at a hastily taken picture is an act of discovery. In this one, an expression is exuberant or a gesture is winning; in that one, a mouth is agape or a hand blocks a face. Once in a blue moon, a rank amateur produces an exquisite picture. Trained photographers may be better at anticipating when and how such a picture might be made, but even they take scores of shots for every one worth posting or publishing.…Has the person who has accidentally taken a superb photograph made a work of art? The conspicuous role of chance in photography sets it apart from arts such as painting or literature. Whereas in a traditionally deliberate art form, such as the novel, chance comes across as something contrived, in photography it comes across as something encountered. What does it mean that photography so often entails a process of haphazard making and careful sorting? These are questions that the art world has tended to muffle or ignore. Chance, one might say, lacks a constituency. Generally speaking, it valorizes neither the photograph nor the photographer. Most photographers, collectors, and curators would prefer to suggest that a picture speaks for itself and therefore the circumstances of its production are immaterial, or to presume that pictorial success reflects a mastery of the medium. But… [p]hotographs, to be meaningful, must be products of history, and that history is haunted by chance.